The long wait by most beginner riders in Malaysia has now turned to reality when Kawasaki Malaysia launched the bike yesterday (24 September 2013) at the Elite Speedway. 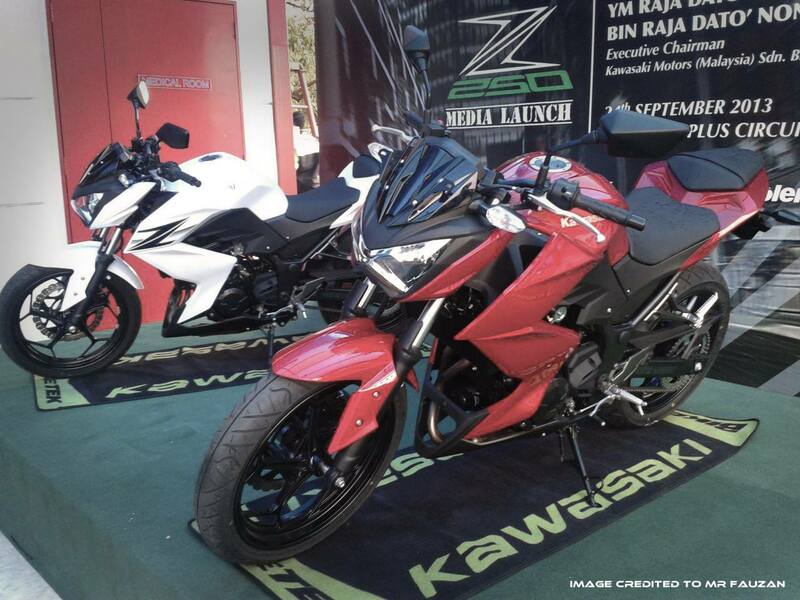 But somehow, after all these years of making review films to the green team of Malaysia; we were once again left out from the invitation list to the launch of the long awaited Z250. But all that aside, as a portal or platform to motorcycle enthusiast out there; we are passionate in sharing and giving out the information that we have regarding the bike even if we were not present to the launch event. The first of the thing that everyone must be curious to know is the price. Kawasaki yesterday announced the price will be set at RM21,589 which from our perspective, looks to be a very strong contender with the current hot selling KTM DUKE 200. 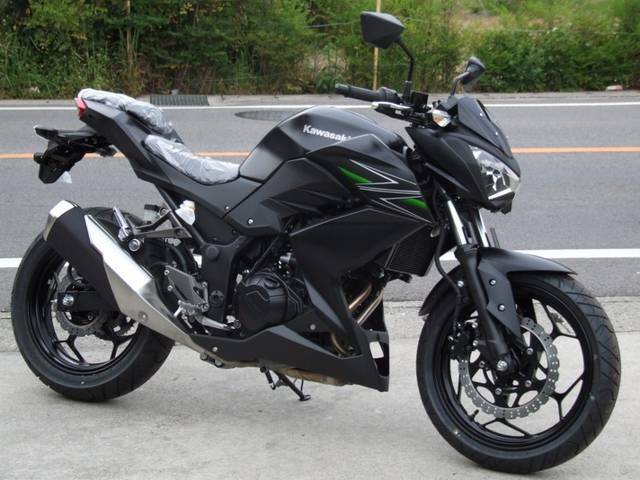 The baby of the Z800 are now looking to be a much more accommodating to the local beginner riders who are looking for a steady bike with stunning looks and ease of usage to be a daily commuter. With the introduction of three colors from RED, WHITE and the traditional GREEN, the Z250 are looking to grab some pieces of the cake in the beginner level of motorcycle market. As much as we want to share about our insight on the new Z250, we are unable to give a proper write ups on this piece due to our uninvited circumstance. But, we are confident that the bike will definitely be as good as the Ninja 250 similar to the one that our test rider had tested previously (CLICK HERE TO WATCH). 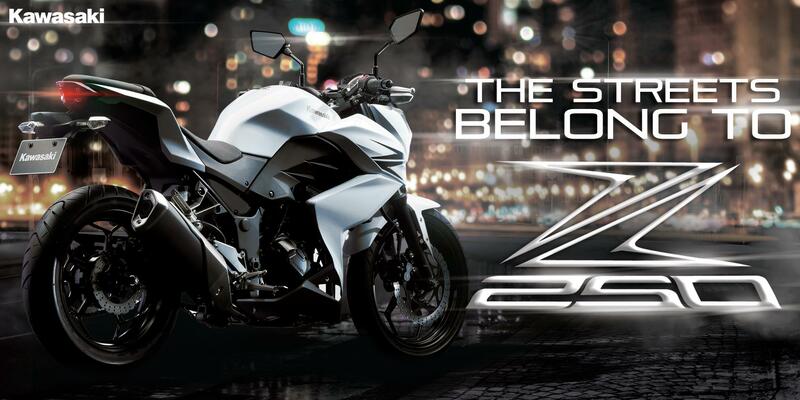 Therefore, we are looking forward at what else can the Z250 give us to enjoy the already great 250cc platform. For that, we are hoping that everyone will stay tune with us in Malaysian Riders whether it’s on our website, on our FACEBOOK PAGE and our high priority YOUTUBE CHANNEL. Please do stay close with us via all these channels and medium to get the latest updates and the future review on all motorcycle that we can get our hands on. Bike nampak mantep. saya berminat untuk mendapatkannya. memang sesuai bagi beginners sebelum memasuki moto kuasa lebih tinggi mcm saya. cuma harganya mahal sikit.